Tbilisi Gardens is the first New York skyscraper in Tbilisi. The building is a feat of fascinating architecture, already a landmark in the area. 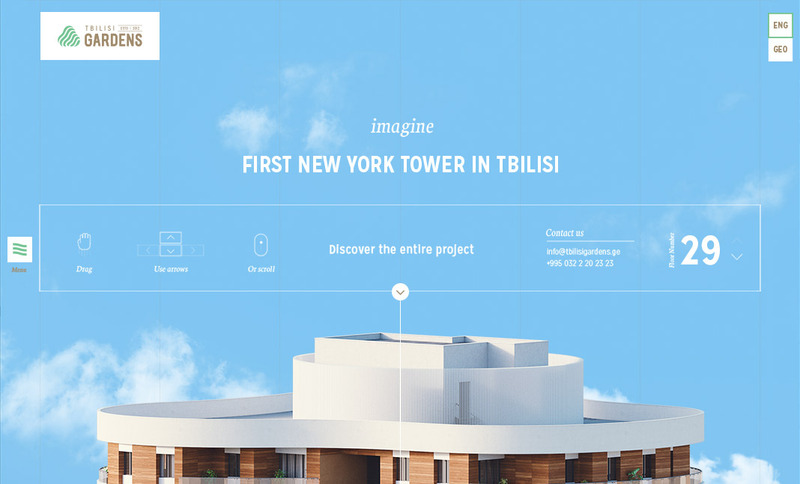 Our task was to fit the building on a single website to showcase its greatness, so we decided to turn the skyscraper itself an interactive digital experience. The project is aiming to attract sophisticated buyers, those who value design, and elaborate architecture. 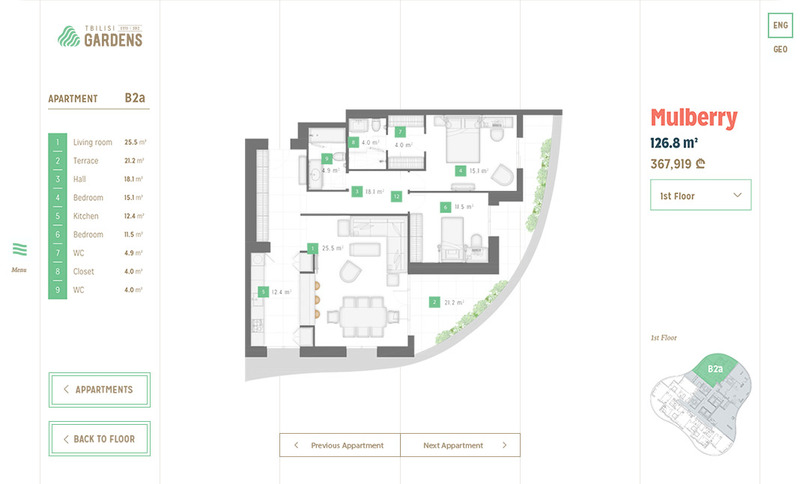 Our website made viewing the skyscraper simple, intuitive, and interactive - scroll the enormous building, go through the apartment plans and project description in a few easy clicks. 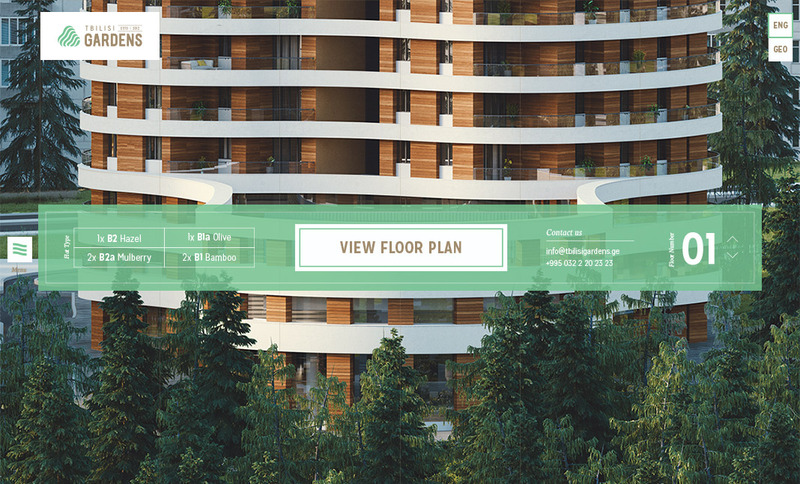 Although the life-like 3D render of Tbilisi Gardens skyscraper is quite big, smooth scroll and fluid transitions, make the experience quite effortless. Apart from the vast online presence, the sales team uses the website during live presentations to effectively showcase the entire project.